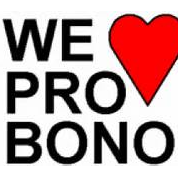 Handle Your Pro Bono Cases Through MVLP! MVLP encourages attorneys who are representing clients pro bono with family law matters to handle those cases through MVLP. MVLP’s staff will conduct intakes, collect supporting documentation and otherwise work up clients’ files to save attorneys precious time and resources. MVLP is a statewide organization so attorneys throughout Mississippi are asked to take advantage of this helpful way to manage their pro bono caseloads and keep track of their pro bono hours. To volunteer as a pro bono attorney, visit http://www.mvlp.net/attorneys/ and click on "register here" at the bottom of the page.